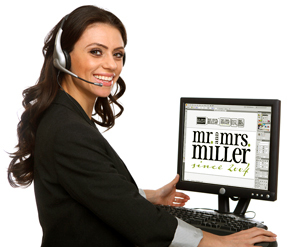 Schedule a free thirty minute design session with one of our professional graphic artists. There is no obligation to buy anything, and the 30 minute session is free. Most designs are completed within a single session.